Within its laptop range, Dell has the Inspiron 14R and the Inspiron 14R Special Edition laptops. But, the similarity pretty much ends with the series name. Just to clear out the differences between the two, we have decided to illustrate them. First off, we talk about the specifications. 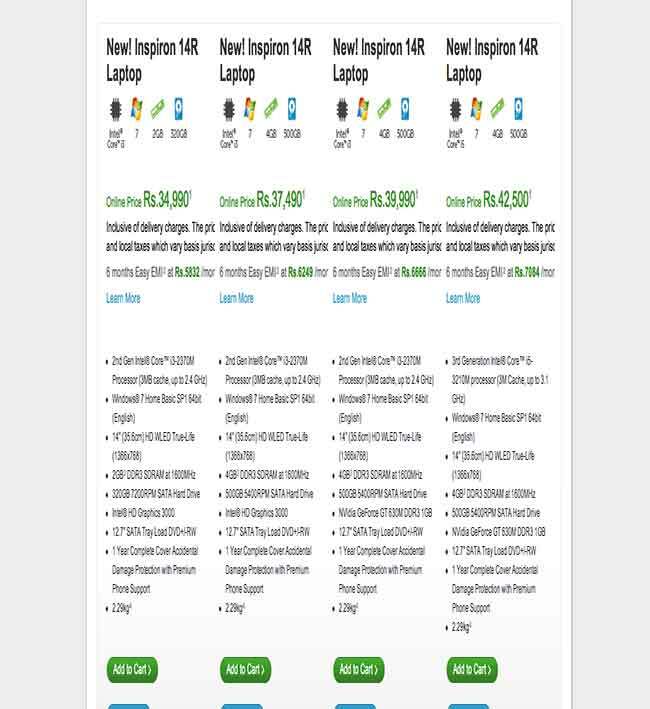 From the screen grabs taken off Dell India’s website, it is very clear that the two series of laptops are not meant to tread on each other’s toes. Out of the four laptops in the Inspiron 14R range, three are still on the 2nd Generation Intel Core series processors, also known as Sandy Bridge. The top of the line version is the latest 3rd gen one, and a Core i5 at that, from the Ivy Bridge range. The entry-level model comes with 2GB of RAM, but the other three come with 4GB as standard. The 14-inch display comes with a resolution of 1366 x 768 pixels, which is standard across all versions. A 320GB hard drive for the entry-level version, while the rest get a 500GB version. The two most expensive versions also get the Nvidia GT630M (1GB) graphics, while the two lower priced versions have the integrated Intel HD 3000 graphics. Among these four, we would seriously recommend a step up from the entry-level model, if you were considering that. For less than three thousand rupees more, you get a bigger hard drive and more RAM. And for those who have a slightly bigger budget, get the top of the line version with the latest generation processor. All laptops come with the Complete Cover support package out of the box, and we personally have seen it being a heaven sent add-on for certain users. The Special Edition laptop series is priced considerably higher than the plain-Jane 14R, and for good reason. This is targeted at the user who wants much more than a basic laptop to use, and would like to do a bit of occasional gaming. Right from the entry-level version, you can see the focus on an impressive spec sheet. 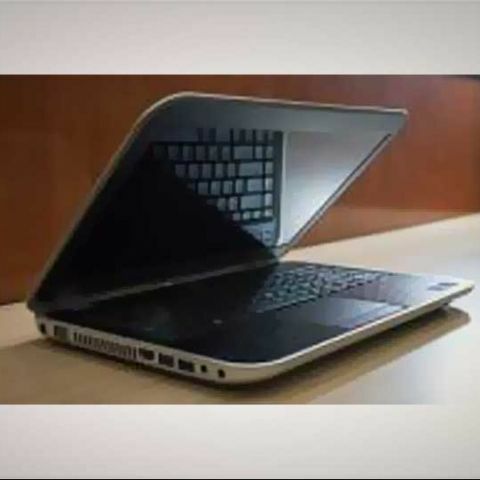 All these laptops have been refreshed with the Ivy Bridge series Intel Core processors, and two laptops come with the Core i5 while the top of the line version gets the Core i7. We are a bit perplexed to find that the entry level version had 4GB of RAM (expected), but the mid-range model gets 8GB of RAM while the top line version gets 6GB of RAM to complement the Core i7! The most expensive version also gets 1TB of hard drive space, while the other two get 500GB each. The 14-inch display has a resolution of 1366 x 768 pixels, same as the cousin family. Since this is powered by the Ivy Bridge series of processors, the Wi-Di capability comes built-in, a feature anything with Sandy Bridge misses out on. Graphics capabilities are the same across the range – Nvidia GeForce GT 640M (2GB). This basically should warm the hearts of those who will use this machine for some bit of gaming. Between the two sibling series, there are a few more differences, most of them visually. The Inspiron 14R gets the ability to change the lid covers, something that Dell calls as Snap-On covers. However, Dell has clearly informed us that the 14R Special Edition does not get this feature in India. Incidentally, the review unit sent to us clearly showed that this is a feature that can be fully used on the 14R SE as well, but for some reason, Dell aren’t selling the Snap-On lid covers for this one. Secondly, while the Inspiron 14R has a very basic finish – mostly plastic used everywhere, the Special Edition gets a lot more goodness with the anodized aluminum exterior, which looks even better with the carbon fibre-ish finish. For those who will use this machine for multimedia, the switch over to Skullcandy speakers should be an interesting change. We will not comment on whether it is good or bad, considering how sound is a very subjective matter open to personal decipheration. Overall, both series’ are looking to target a different consumer demographic. One is the more affordable value for money series, while the other is a slightly pricier one for the enthusiast and power user.